Littleton is the Home Rule Municipality in Arapahoe, Douglas, and Jefferson counties that is the county seat of Arapahoe County, Colorado. The city of Littleton’s history dates back to the 1859 Pike’s Peak Gold Rush, which brought not only gold seekers, but merchants and farmers to the community. Richard Sullivan Little was an engineer from New Hampshire that made his way out west to work on irrigation systems. Little soon decided to settle in the area at present day Littleton and brought his wife Angeline out from the East in 1862. The Littles, along with many neighbors, built the Rough and Ready Flour Mill in 1867, which provided a solid economic base in the community. By 1890, the community had grown to 245 people and the residents voted to incorporate the Town of Littleton. Littleton became widely known in 1999 when the Columbine High School massacre occurred at Columbine High School. News media reported that the incident happened in the city, because the school’s ZIP code is primarily associated with Littleton. The school is actually located in adjacent Columbine, an unincorporated community, which is not a place name accepted by the U.S. Postal Service; by default, locations in ZIP code 80123 use “Littleton” in their mailing addresses. Columbine High School is in the Jefferson County school system and is not one of the Littleton Public Schools. As a suburb of Denver, Littleton is part of the Denver-Aurora metropolitan area and the Front Range Urban Corridor. 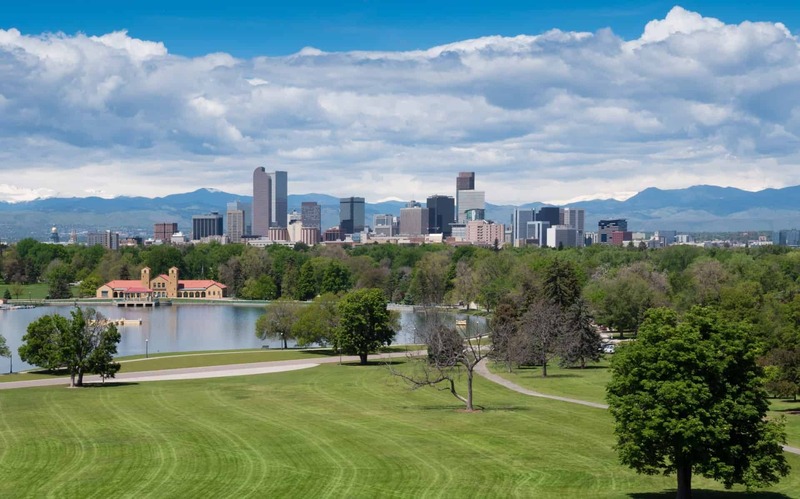 It shares a border with Denver and Englewood on the north, Greenwood Village on the northeast, Centennial on the east, Highlands Ranch on the south, Columbine and Columbine Valley on the west, and Bow Mar on the northwest. Littleton is a Home Rule Municipality with a council-manager form of government. The city council makes policy for the city, approves the annual city budget, and determines annual property tax rates. The council consists of seven members. For representative purposes, the city is divided into four legislative districts with one council member elected from each for a four-year term. The three remaining council members are elected at-large, two for a four-year term and one for a two-year term. General elections for city council are held in odd-numbered years with four seats up for election. The council elects one member to serve as mayor and another to serve as mayor pro tempore. The city manager implements the council’s policies and oversees day-to-day administration of the city government and its departments. As the county seat, Littleton is the administrative center of Arapahoe County. The county government’s main Administration Building is located in Littleton, and most county government departments base their operations in the city. Littleton lies mostly within Colorado’s 6th U.S. Congressional District, but changes made to Colorado’s congressional districts in 2012 put the extreme southwestern portion of the city into Colorado’s 1st congressional district. For the purposes of representation in the Colorado General Assembly, the city is located in the 26th and 30th districts of the Colorado Senate and the 3rd, 38th, and 43rd districts of the Colorado House of Representatives. What’s Your Metro Denver Home Worth? We sell homes FASTER, MORE EFFICIENTLY and for the HIGHEST PRICE possible.